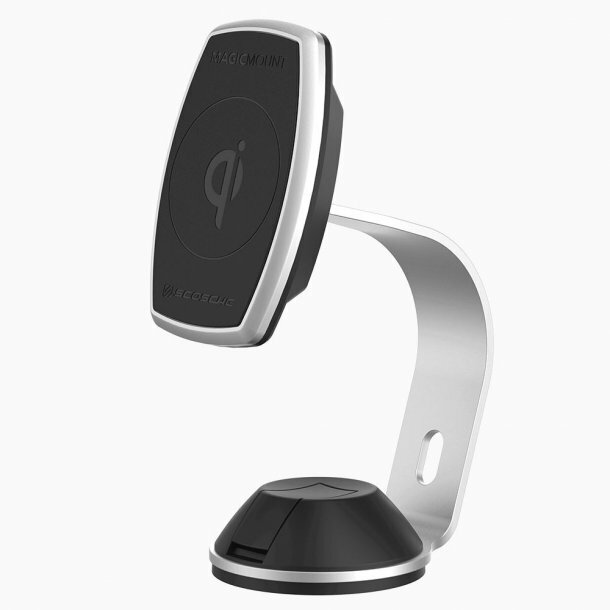 Qi Certified, the symbol for Safe, Reliable Wireless Charging! Wireless charging’s rapid ongoing growth has led to some poor-quality and low performance products being introduced that could also be unsafe. Qi Certified products, like our wireless charging products, have been thoroughly tested by independent laboratories to ensure their safety, compatibility and energy efficiency. Our products are designated as “Qi Certified” by the Wireless Power Consortium. Others may use terms like Qi compliant, Qi compatible and Works with Qi, but these terms are not the same as Qi Certified and products using such terms have not undergone Qi certification testing. What is Qi (pronounced “chee”) wireless charging anyway? First off, it’s the global standard for smartphone wireless charging. Wireless charging functionality is finding its way into millions of devices. Wireless charging uses electromagnetic fields to safely transfer power from a transmitting source (in this case the MagicMount Charge unit) to a receiving device (built into Qi-enabled smartphones or available as an add-on via battery covers, receivers and more) for the purpose of wirelessly charging the device’s battery. Scosche has combined the latest Qi wireless charging technology with our #1 Mount Brand for the ultimate solution in hands-free magnetic mounting and wireless charging. These wireless magnetic charging mounts deliver up to a blazing 10W of charging power, making it compatible with Apple and Samsung Wireless Fast Charging. Not only do these wireless magnetic charging mounts deliver fast wireless charging, they also provide two points of magnetic contact for a solid hold via powerful, rare-earth, neodymium magnets. Advanced safety features like Foreign Object Detection safeguards your device from overheating and becoming a potential fire hazard. Whether you’re looking for home/office or on-the-go wireless charging, Scosche has a product for you. And no matter what product you choose, you’ll get these terrific features and benefits. Up to 10W of wireless charging power.